Find classes for all ages and abilities including Zumba, spin cycling, yoga, aqua aerobics and many more! 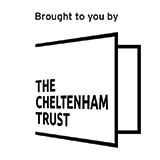 Leisure at Cheltenham is brought to you by The Cheltenham Trust in partnership with Cheltenham Borough Council. Our friendly and knowledgeable team are here to inspire and help you to get active, learn, socialise and exercise, whatever your age and ability. Whether you are a competent sports person, a family looking to get fit together or just looking to have fun, seek recovery from illness or learn a new skill, we will have something for you.